At Accessibility Medical, we offer both Luna CPAP system and Luna Auto CPAP-system with an integrated heated humidifier. Many people may wonder if they really have to use the humidifier with their CPAP device. This article explains the benefits. How Does The Integrated Heated Humidifier In The CPAP Device Work? The heated humidifier is designed to be an integrated part of your CPAP device, which includes a mini tank or chamber to hold distilled water for humidification. This small distilled water container is designed to be easily detachable for cleaning and refilling. Under the chamber, a heating plate heats the water in order to turn it into the humidity. Settings for the water heating mechanism can be set to automatic or you can adjust them with the help of manual controls. This provides you with full control over the amount of humidity added and the temperature of the heated tubing. The pressurized air in the room is then allowed to be passed by the humid area so that the moisture can be transported to the air passage. The humidified air enters through nasal openings and travels into the throat and eventually ends up in the lungs. How Is An Integrated Heated Humidifier In The CPAP Device Is Beneficial? Without a humidifying mechanism, the flow of air can be extremely drying. It could certainly happen if an individual sleeps with the open mouth during the night. Opening the mouth during sleep is mainly because of the presence of nasal blockage and if it is accompanied by a deviated septum or any kind of allergies, it can result in escaping of air. This would take no time to make your mouth completely dry and that can be really uncomfortable and disturb your sleep. It can also cause a sore throat. If you leave the condition unaddressed for a longer time, extreme dryness could occur leading to nosebleeds and causing severe damage to your gums and can even result in the loss of the tooth. A few remedies to prevent open mouth while sleeping may include the use of a chinstrap or dryness can be reduced with the use of a full-face mask. 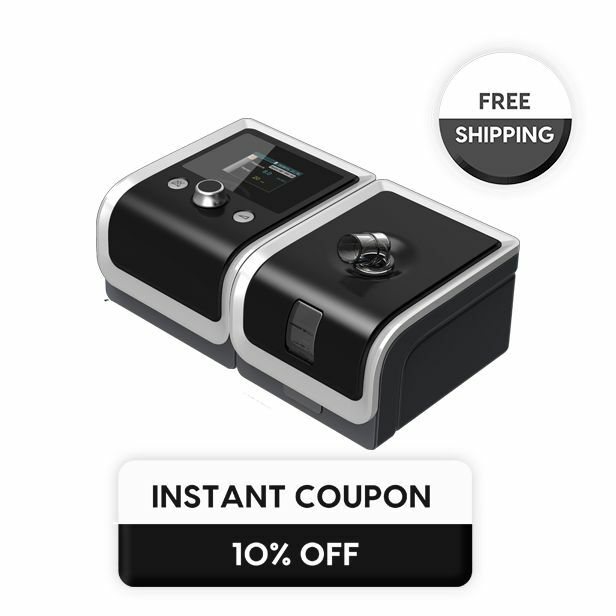 The integrated heated humidifier in your Luna CPAP system assures a supply of humidified air to prevent the dryness and can effectively reduce the irritation caused by dryness throughout the air passage. It provides great help in relieving the dryness caused because of the CPAP therapy. Most individuals experience great benefits with the use of an integrated heated humidifier with their CPAP device.